A bill to protect concealed carry permit holders, sponsored by Sen. John R. Thune (R-S.D.) and Sen. David B. Vitter (R-La. ), has been introduced with strong Republican support in the Senate. “I am pleased to introduce legislation that strikes a balance between states’ rights and individuals’ Second Amendment rights outlined by the Constitution,” Thune said. The legislation, which has drawn initial support from 28 Republican senators, is called the Respecting States’ Rights and Concealed Carry Reciprocity Act, S. 2213. Thune said that the bill will allow law-abiding concealed carry permit holders to cross state lines without being afraid of breaking the law and that the legislation provides a good balance between respecting the right of states to create their own laws and also protecting gun owners from the different laws of states that they pass through. Thune said that the law stays in line with the Constitution because it refrains from making a national standard for concealed carry while also protection Second Amendment rights. The Respecting States’ Rights and Concealed Carry Reciprocity Act will protect residents of both concealed carry as well as Constitutional Carry states. Constitutional Carry states don’t require a permit to carry a concealed gun. The protection of Constitutional Carry citizens is the main difference between this bill and the National Right-to-Carry Reciprocity Act of 2012, which was sponsored by Democrats last week. The National Right-to-Carry Reciprocity Act of 2012 was sponsored by Sen. Mark Begich (D-Alaska) and Sen. Joe Manchin (D-W.Va.), and originally had the support of many Republicans. 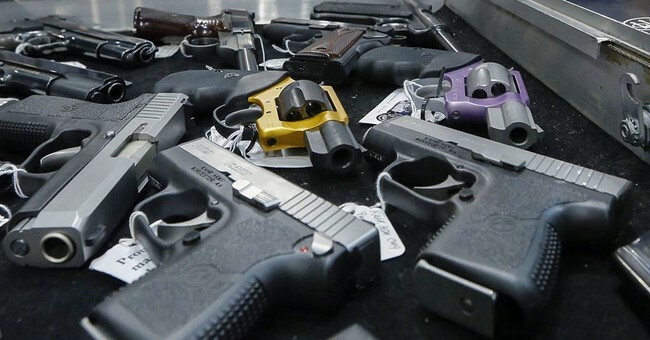 “I’m leading the effort to provide consistency so law-abiding gun owners can carry concealed firearms in every state that permits them without having to navigate confusing rules and regulations in different states,” said Begich. However, the Republicans that were originally working on that legislation jumped over to support the Thune-Vitter bill instead due to the belief that the Thune-Vitter bill would go farther in protecting gun owners. One of the Senators that made the switch was Sen. Mike D. Crapo (R-Idaho), who was initially announced as a co-sponsor of the National Right-to-Carry Reciprocity Act, but pulled out and switched to work on the Thune-Vitter Bill. Crapo believes that the Thune-Vitter bill is a stronger approach to supporting reciprocal concealed carry permitting rights among the states that allow it. A bill similar to the Thune-Vitter one introduced in the Senate made its way through the House in November of last year, which was sponsored by Rep. Cliff B. Stearns (R-Fla.) and Rep. J. Heath Shuler (D-N.C.). The House bill H.R. 822 drew the support of 40 Democrats and passed on a vote of 272 to 154. The last time that Thune introduced similar concealed carry legislation in 2009 it nearly passed, gaining 58 votes in the Senate. Ayotte (R-N.H.), Barrasso (R-Wyo. ), Boozman (R-Ark. ), Burr (R-N.C.), Chambliss (R-Ga.), Coburn (R-Okla.), Cochran (R-Miss. ), Cornyn (R-Texas), Crapo (R-Idaho), DeMint (R-S.C.), Enzi (R-Wyo. ), Graham (R-S.C.), Grassley (R-Iowa), Hatch (R-Utah), Inhofe (R-Okla.), Isakson (R-Ga.), Ron Johnson (R-Wis.), Lee (R-Utah), Lugar (R-Ind. ), McConnell (R-Ky.), Paul (R-Ky.), Portman (R-Ohio), Risch (R-Idaho), Rubio (R-Fla.), Sessions (R-Ala.), Thune (R-S.D. ), Toomey (R-Penn.) Vitter (R-La.) and Wicker (R-Miss. ).